Summary: A new study from Swinburne University researchers reveals people with social phobias may have difficulty in processing social information efficiently. Researchers report those who find social situations difficult show similar neural responses to those with schizophrenia and ASD. New Swinburne research shows that people who find social situations difficult tend to have similar brain responses to those with schizophrenia or autism. The research, published in Psychiatry Research: Neuroimaging, found the areas of the brain that show increased response when exposed to unexpected speech sounds or ‘phonemes’ are associated with the processing of social information and linked with spectrum conditions such as autism or schizophrenia. “This suggests that for people who find social situations difficult, their brain may be processing social information inefficiently,” says lead researcher and Postdoctoral Research Fellow, Dr Talitha Ford. “Autism and schizophrenia are multi-dimensional and spectrum conditions, which means they have varying degrees of many different symptoms, so much so, these symptoms present as non-clinical traits in the general population,” she says. She explains that key features of both conditions are interpersonal and social difficulties, and different brain responses to changes in the environment. Dr Ford says studying the brain responses associated with behaviours related to clinical conditions, such as autism and schizophrenia, allows scientists to add to the growing understanding of the processes that drive these behaviours. People who struggle with social situations may process social information inefficiently. NeuroscienceNews.com image is adapted from the Swinburne University news release. “Increasing the understanding of the relationship between clinical behaviours and brain response helps scientists and clinicians develop innovative and efficient early detection, prevention and treatment options for patients with these conditions,” she says. Dr Ford hopes to further investigate the relationship between social cognition and brain response through the use of different neuroimaging techniques and measures of social skills. “We also hope to extend this research to investigate these relationships in people with clinical conditions, such as autism and schizophrenia,” she says. Image Source: NeuroscienceNews.com image is adapted from the Swinburne University news release. 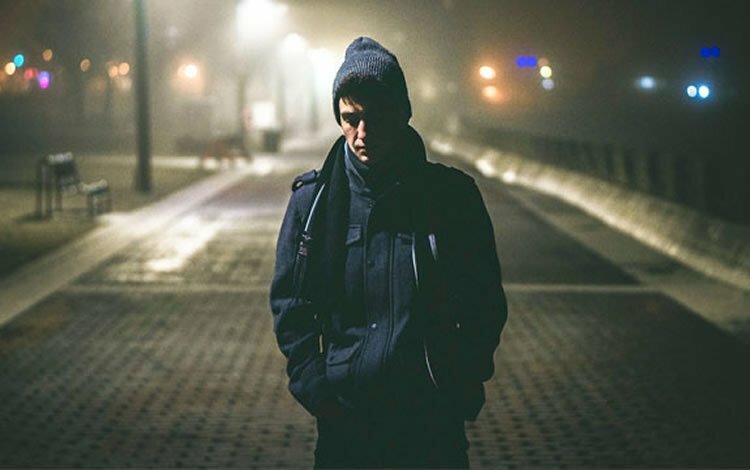 Swinburne University “Social Phobia Linked to Autism and Schizophrenia.” NeuroscienceNews. NeuroscienceNews, 11 December 2017. Swinburne University “Social Phobia Linked to Autism and Schizophrenia.” http://neurosciencenews.com/asd-schizophrenia-social-phobia-8154/ (accessed December 11, 2017). Auditory processing deficits are frequently identified in autism and schizophrenia, and the two disorders have been shown to share psychosocial difficulties. This study used magnetoencephalography to investigate auditory processing differences for those with a high degree of a non-clinical autistic and schizotypal trait phenotype, Social Disorganisation (SD). Participants were 18 low (9 female) and 19 high (9 female) SD scorers (18–40 years) who completed a three-stimulus auditory oddball paradigm of speech sounds (standard: 100 ms ‘o’, deviant: 150 ms ‘o’, novel: 150 ms ‘e’). Spatio-temporal cluster analysis revealed increased amplitude for the high SD group in a left (p = 0.006) and a right (p = 0.020) hemisphere cluster in response to the novel non-target. No cluster differences were found in response to the target deviant. These findings suggest that those with a high degree of the SD phenotype recruit more cortical resources when processing unattended, novel speech stimuli, which may lead to psychosocial deficits. Journalist who wrote this article seems to make a connection to social phobia where none was mentioned in the study, nor by the authors. The study itself seems more like a preliminary experiment to determine if future study is warranted. Very small sample size, and one p-value indicated iffy significance. I don’t see how this little experiment could be extrapolated to lend any insight into social phobia.